Amarillo Federal Tort Claims Act attorneys & Amarillo Texas Tort Claims Act attorneys serve Amarillo residents injured by government actions to ensure that they receive quality legal representation in their claims against the government. If you find yourself facing off against the government, an Amarillo government lawsuit lawyer can help you get the compensation you deserve, whether your claim is against the Texas state government or the federal government. An old Latin adage advises “Rex non potest peccare,” or, in English, “The King can do no wrong.” This saying expresses the Old World notion that the ruling class was essentially immune from any liability and could reign as they wished, breaking any laws they saw fit. In fact, at English common law, it was impossible to sue the Sovereign or King for redress. Since every state in the United States—with the notable exception of Louisiana—adopted the English common law, it was also historically impossible for an Amarillo, Texas resident or any other Texas citizen to sue the City of Amarillo, Potter County, or the State of Texas. In other words, no government liability existed whatsoever. Of course, much has changed since our country’s modest beginnings. In 1969, the Texas legislature adopted the Texas Tort Claims Act, which is now found in Chapter 101.001 et seq. of the Texas Civil Practice & Remedies Code. Prior to the enactment of the Texas Tort Claims Act, Amarillo residents would have been completely barred from suing the Texas government for any harms it inflicted on them. The maximum the City of Amarillo can be liable for is $250,000.00 per person, $500,000.00 per single occurrence for bodily injury, and $100,000.00 for property damage. The maximum Potter County or a “unit” of local government, can be liable for is $100,000 for each person, $300,000 for each single occurrence for bodily injury or death, and $100,000 for each single occurrence for injury to or destruction of property. The maximum liability of an Amarillo Police Department (APD), Potter County EMS, or other emergency service is limited to a maximum amount of $100,000 for each person, $300,000 for each single occurrence for bodily injury or death, and $100,000 for each single occurrence for injury to or destruction of property. 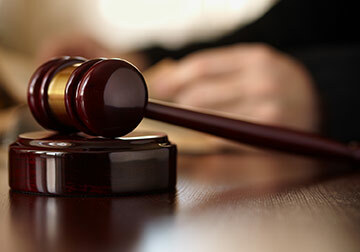 Thus, the Texas Tort Claims Act represents a significant step forward in recognizing that government bodies, like all other persons and entities, should also be held responsible for their actions, at least under certain circumstances. However, even though the Texas legislature waived governmental immunity and created the possibility of governmental liability, it may still be very difficult to hold the City of Amarillo or Potter County legally accountable for negligence or wrongdoing. There are still various pitfalls and obstacles that can befall any case against the government. A knowledgeable Amarillo government liability attorney can help you avoid these pitfalls and pursue your case against the government. Additionally, Section 101.101(b), which gives “Notice to the City of Amarillo & Potter County,” specifically adopts Amarillo's City Charter, as well as the charters of all other Texas cities, allowing an even shorter time period of ninety (90) days for actions against the municipality (“A city’s charter and ordinance provisions requiring notice within a charter period permitted by law are ratified and approved.”). In order to make sure that you comply with these requirements, contact an Amarillo government liability lawyer to discuss your claim. Just like Texas, the Federal Government traditionally enjoyed sovereign immunity, and therefore those injured by actions of the federal government could not sue to recover damages. However, the federal government was the largest employer in the United States and many injured employees of the federal government needed compensation for their injuries. In addition, many people not employed by the federal government were also being injured by it and they too needed compensation. For example, if a federal government employee was negligently driving a car and injured an Amarillo resident, that person would likely seek damages from the federal government to compensate them for their injuries. This is just one example of a myriad of ways in which the issue of federal government liability arose over the years. It became clear that sovereign immunity had become outmoded, and, in 1946, Congress passed the Federal Tort Claims Act (FTCA). The FTCA is similar in nature to the Texas Tort Claims Act; however, there are some key differences. 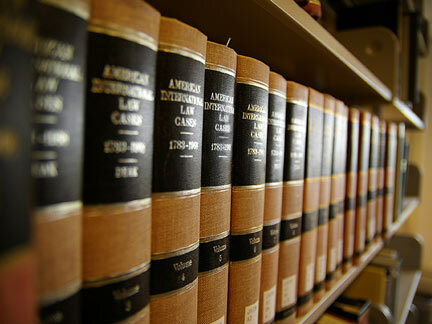 An Amarillo government liability lawyer can explain these exceptions to you in greater detail. The FTCA applies to many government employees that are injured. For example, military personnel on the Dyess Air Force Base in Amarillo are often injured and seek the help and advice of Amarillo personal injury lawyers. A variety of other government employees and private residents of the Amarillo and Potter County, Texas areas may also be injured by actions of either the federal, state, or municipal government. If you, or a loved one, has suffered an injury due to the negligence of the government, or while on the job as a government employee, call one of the Amarillo governmental liability lawyers on this page for a consultation regarding your right to recovery. Rest assured that a Potter County government liability attorney will be familiar with both federal and state laws and will have the expertise necessary to aggressively pursue your claim and get you the financial recovery you deserve. 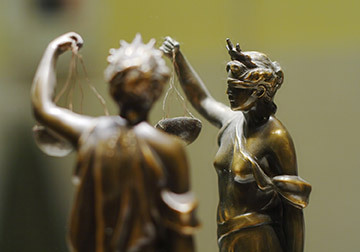 Contact one of the qualified Amarillo torts claims act lawyers on this site today.